The United Nations and the Palestinian Authority on Monday appealed for $350 million in humanitarian relief for Palestinians next year, saying that they needed more but had to be realistic in the face of "record-low" funding. The 2019 Humanitarian Response Plan outlined 203 projects to be carried out by 88 different groups, including U.N. agencies and non-governmental organisations. The plan prioritised 1.4 million Palestinians most in need of food, healthcare, shelter, water and sanitation, said Jamie McGoldrick, the U.N. humanitarian coordinator in the Gaza Strip, West Bank and East Jerusalem. "Humanitarian actors are facing unprecedented challenges, including record-low funding and a rise in attacks to delegitimise humanitarian action," he said in a joint statement issued on Monday, ahead of the appeal's launch in Ramallah in the Israeli-occupied West Bank. Although "much more assistance is needed", McGoldrick said, the plan was "reflecting what we can realistically accomplish in this highly constrained context". The Palestinians want to establish a state in the West Bank, Gaza and East Jerusalem - territories that Israel captured and occupied in the 1967 Middle East war. U.S.-brokered peace talks between the sides collapsed in 2014 and a bid by U.S. President Donald Trump to restart them has so far showed little progress. Around 77 percent of the funds sought in the 2019 plan would go to Gaza, the appeal organisers said, because the densely populated coastal strip faced a "dire humanitarian situation" after years of an Israeli-led blockade, internal Palestinian political divisions and casualties from demonstrations and recurring hostilities. 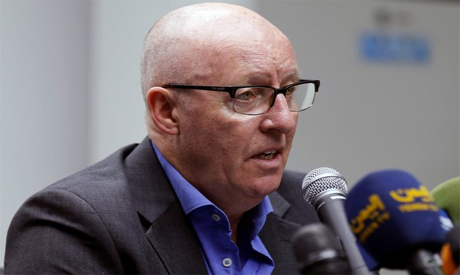 "The humanitarian context in the oPt (Occupied Palestinian Territories) is still deteriorating due to the Israeli occupation violations in a time of lack of resources and declining funds because of the politicization of the humanitarian aid,” Palestinian Social Development Minister Ibrahim Al-Shaer said in the statement.